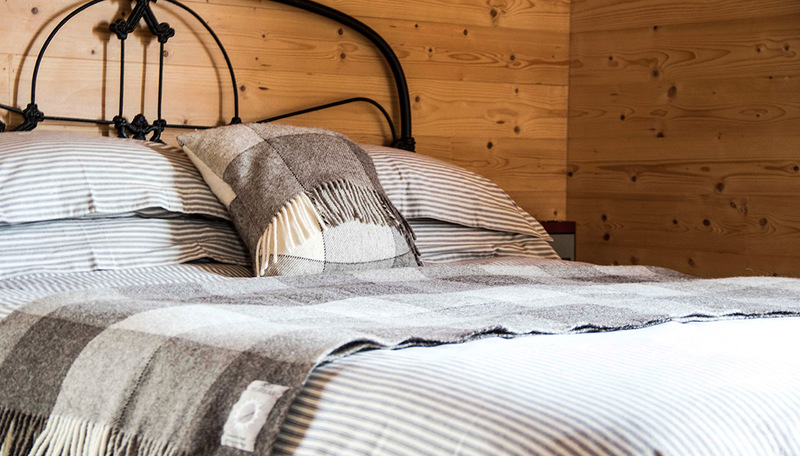 Furnished with a large king size bed with organic cotton bedding and a cosy blanket from our friends over at Skye Weavers – pedal powered weaving! Artwork on the walls is by local artist Judith Maclachlan and the whisky barrel bench is from Darach, furniture makers from the Highlands. The antique wardrobe was commissioned by Peter Graham, a famous Victorian artist and great great grandfather to the Hunters.